Marshall senior guard Rondale Watson drives through Hofstra defenders in the paint. 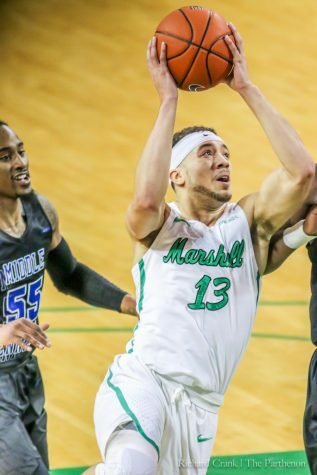 Watson has 14 points in Marshall's win over the Pride. 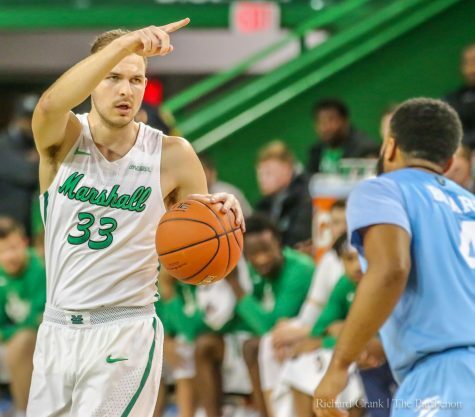 The Marshall men’s basketball team continues its three-game homestand Wednesday against the Mount St. Mary’s Mountaineers in the Cam Henderson Center. 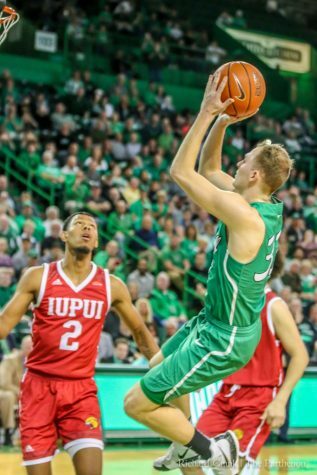 The Herd looks to improve on its 2-0 record coming off a 76-72 win over Hofstra Sunday, in the team’s first home game of the season. Mount St. Mary’s aims to notch its first win of the year after an 0-2 start with losses to NC State and Hofstra. The game will be the Mountaineers’ third of four straight road games to begin the year. 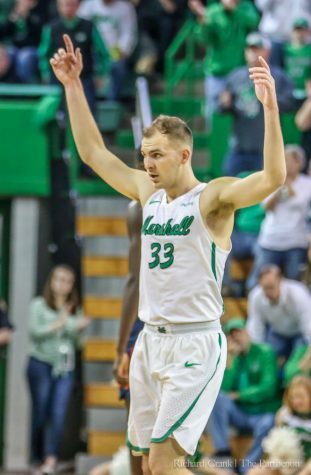 D’Antoni said Marshall needs to improve on its rebounding heading into Wednesday’s contest against the Mountaineers. 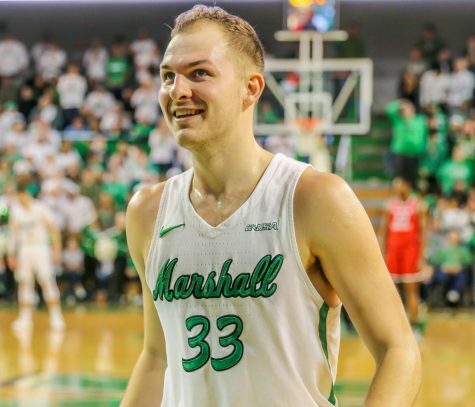 Mount St. Mary’s has struggled with rebounding to start the year and opponents have out-rebounded the Mountaineers by an average of 15.5 per game. 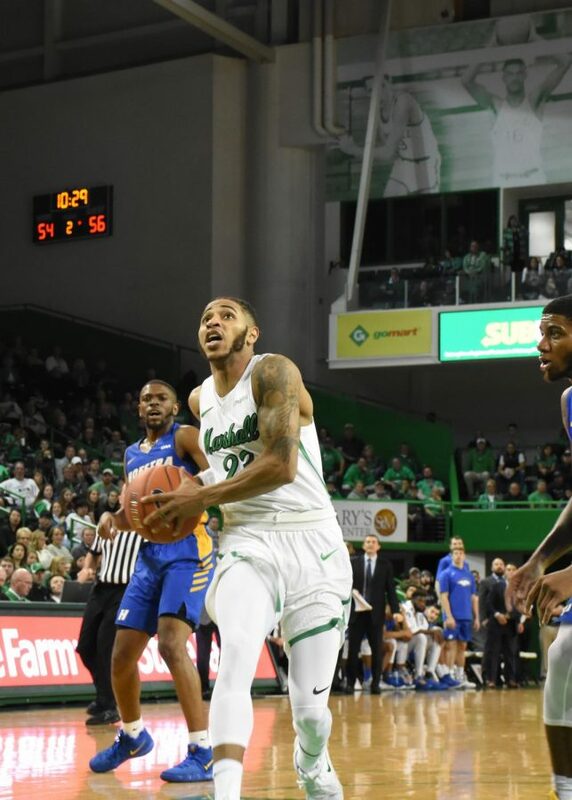 Herd freshman guard Taevion Kinsey is coming off a strong defensive performance against Hofstra, in which he held Hofstra guard Justin Wright-Foreman to four points in the final 10 minutes of the contest. 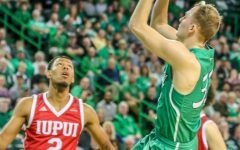 Wright-Foreman had 30 points in the first 30 minutes of the game. 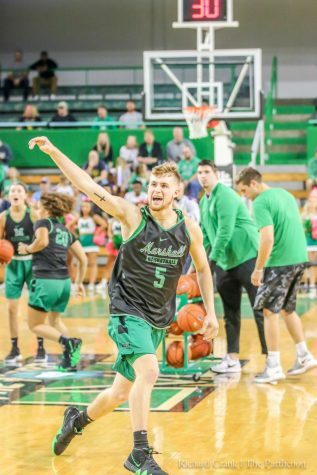 Kinsey said that, while he is taking everything on a gamely basis, he is going into Wednesday with the same mindset. 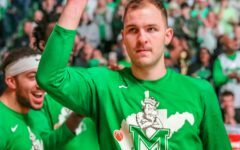 D’Antoni said that the game against Mount St. Mary’s is going to be another chance to put his team’s style of play that he has deemed ‘hillbilly ball’ on display. 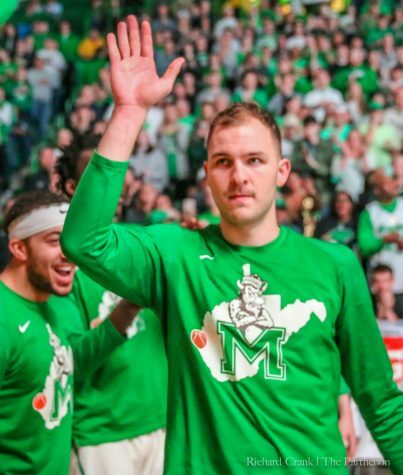 Tipoff is scheduled for 7 p.m. Wednesday in the Cam Henderson Center in Huntington, West Virginia.